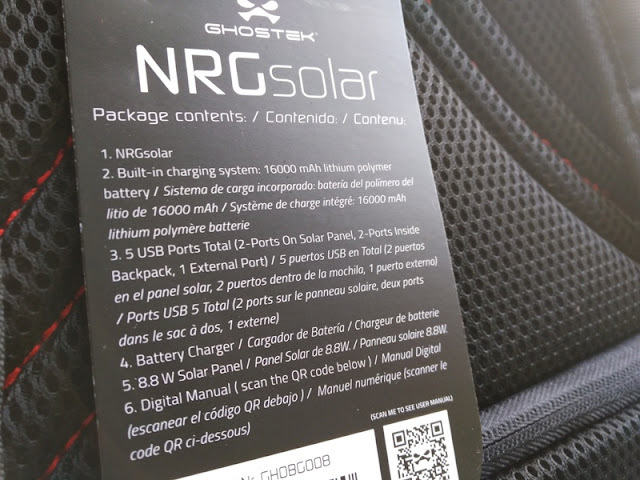 Ghostek NRG Solar Backpack With 16000 mAh Battery And Charger! 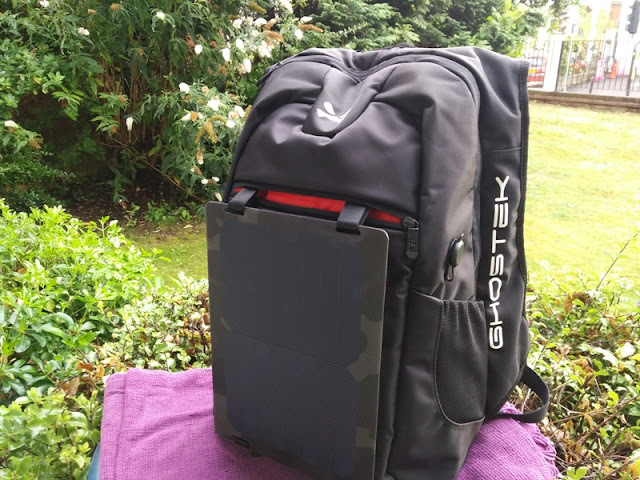 While out and about, it is always convenient being able to charge a laptop or phone on the go, and what better way to do it than with a solar powered backpack! 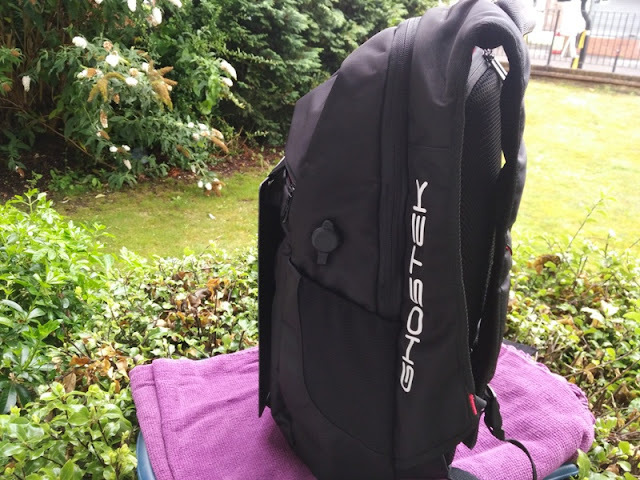 The Ghostek NRG Solar Backpack features an 8.8-watt solar panel mounted on the front of the backpack that can charge mobile devices and gadgets, and even store a 15-inch laptop. 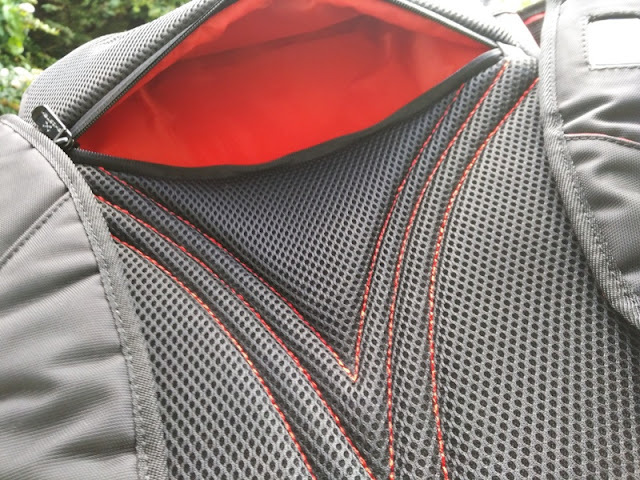 The inside of the NRGSolar backpack is lined with bright orange lining that literary lights up the inside of the backpack when searching for your gadgets. 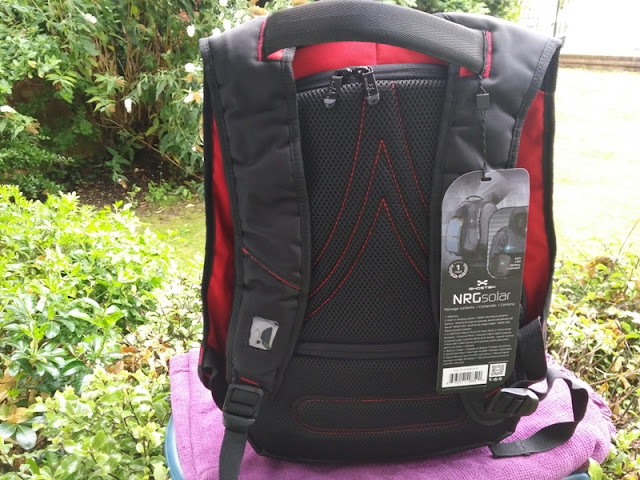 At 40 liters capacity, the NRG Solar Backpack is pretty spacious and you get plenty of compartments to store all kinds of gadgets and other stuff like toiletries. 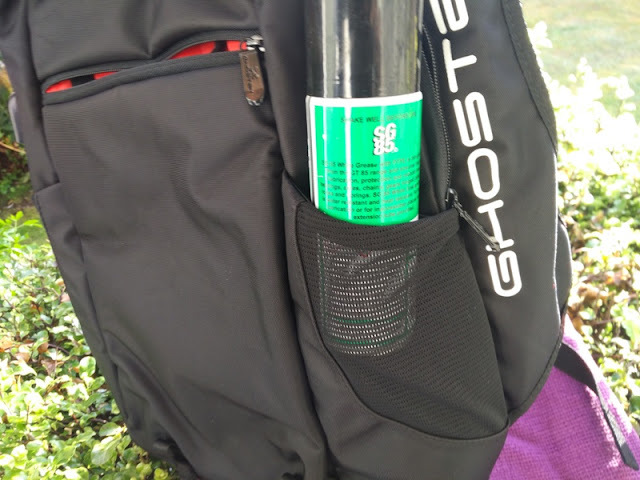 The exterior of the Ghostek backpack is made of water resistant polyester, which is nice. 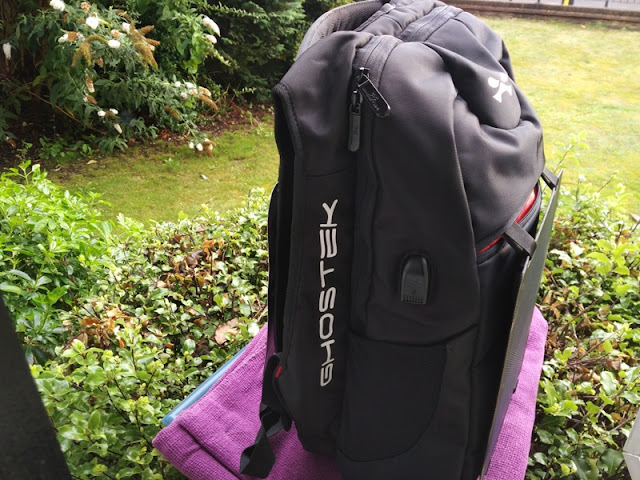 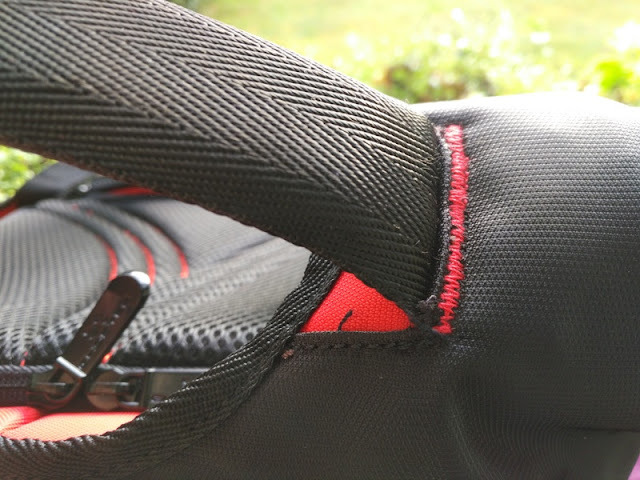 The NGR solar panel attaches to the front of the backpack via four velcro straps, which means the NGR Solar panel can be detached and stored away. 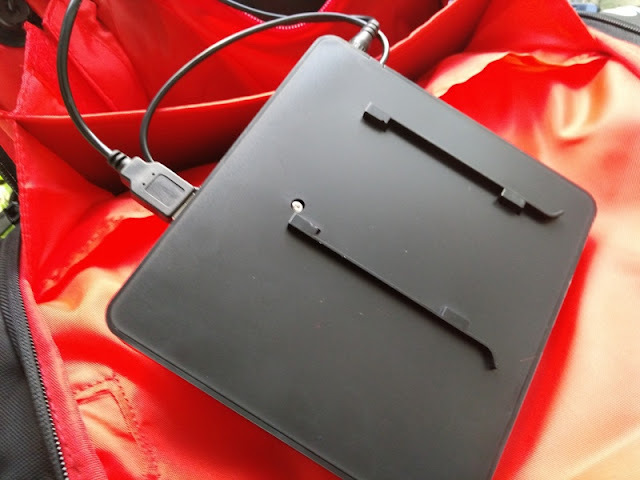 Best of all, you can actually use the NRG Solar panel as a standalone charging station, which is pretty cool. 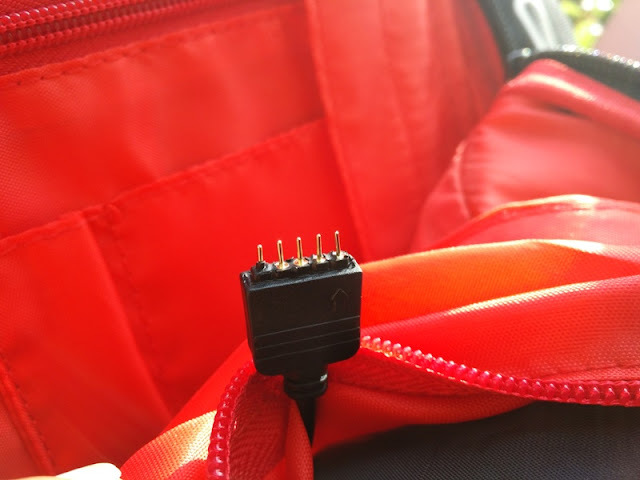 The Ghostek NRG Solar Backpack comes with all the cables needed to operate the charging system as well as charging cables to charge your gadgets. 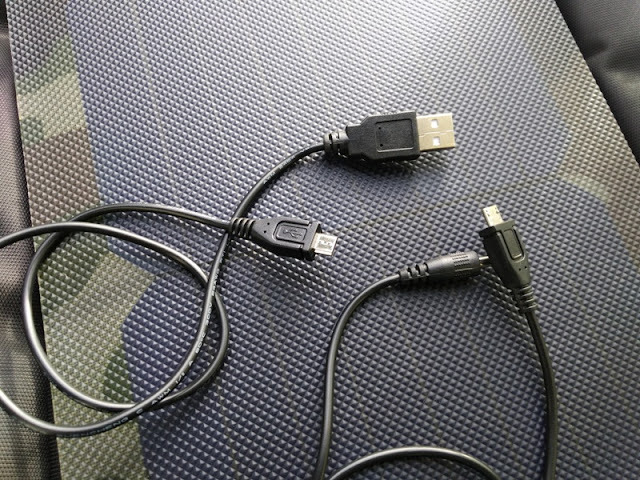 These include a USB to DC charging cable and standard USB to microUSB charging cable. 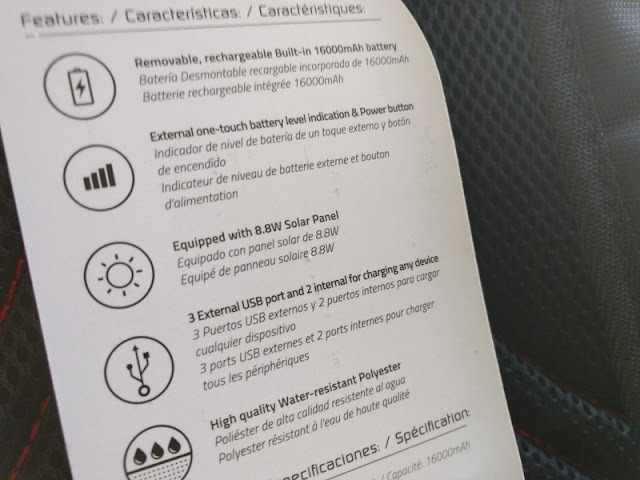 Connecting the NGR Solar panel to the charging system is pretty straight forward. 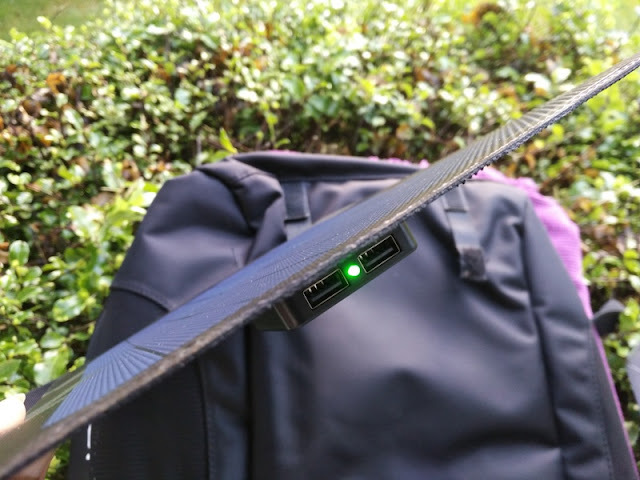 You simply connect the USB to DC charging cable from the USB port on the back of the solar panel to the 12-volt DC port to channel solar power to recharge the built-in 16,000mAh lithium ion battery located inside a zip pouch within the main compartment of the backpack. 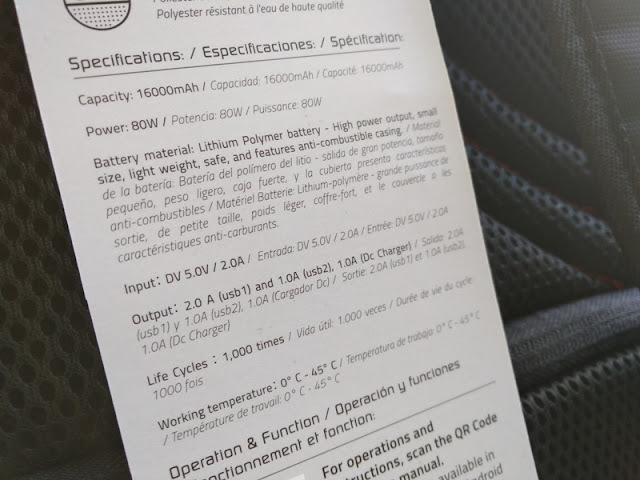 The built-in 16,000mAh rechargeable battery can also be charged from a mains wall via the 12-volt DC port located on the left side of the backpack, which is handy as it means you can charge the battery without actually taking it out from the zip pouch. 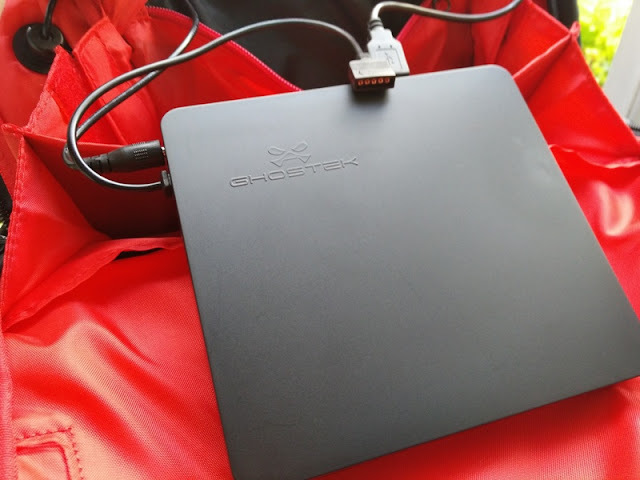 The 16000mAh battery casing is made of anti-flammable material and can power a total of 80 watts at 4 amps via three outputs, which consist of a 2-amp USB port, a 1-amp USB port and a 1-amp DC port. 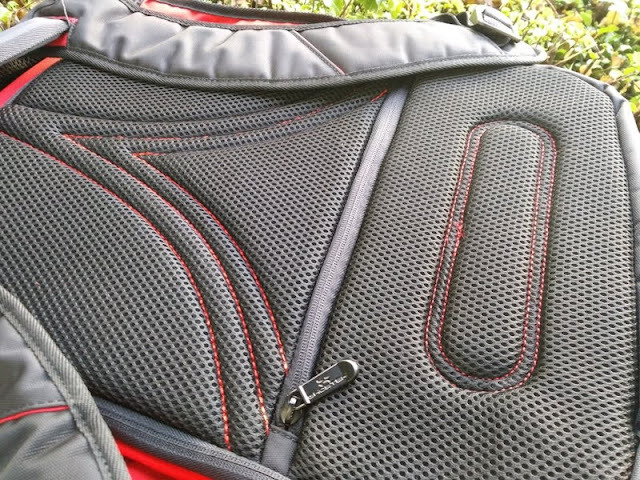 With the NRG SOLAR laptop backpack, you get a total of 5 USB ports (3 external USB ports and 2 internal USB ports. 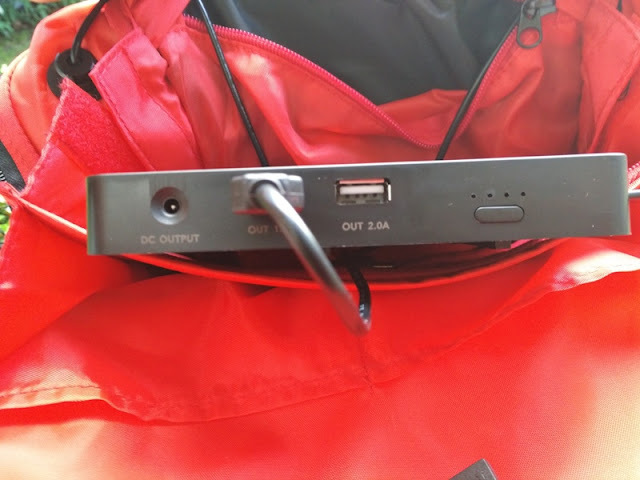 The external USB ports are located on the solar panel and on the right side of the backpack. 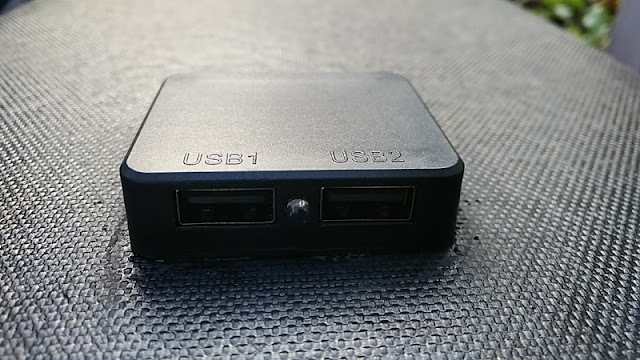 The internal USB ports are located on the battery itself. 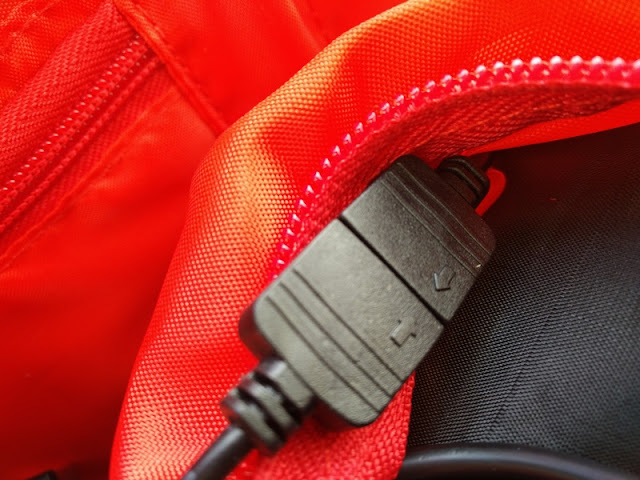 As a charging backpack, the external USB port on the NRG Solar Backpack makes it very convenient for charging your gadgets on the go. 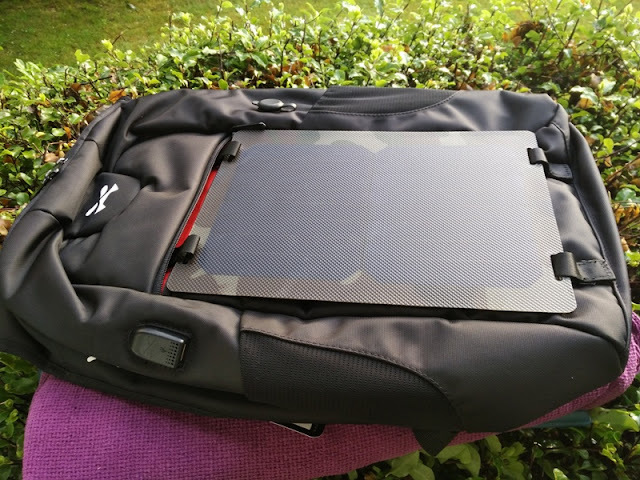 A nifty security feature you get with the NRG Solar panel Backpack is the secret compartment located on the back of the backpack, behind the should straps where you can store a laptop (15.6 inches wide), tablet or anything else expensive. 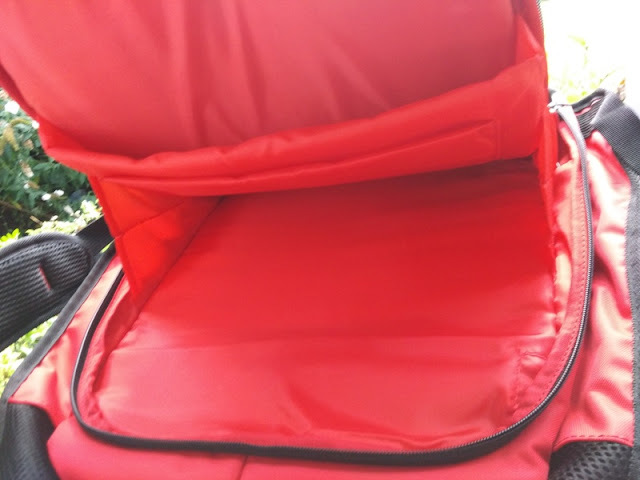 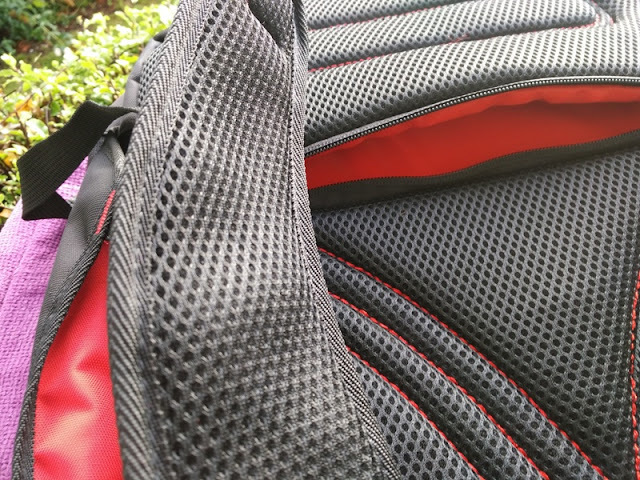 The NRG solar mounted backpack has adequate and plenty of padding so you get padding for the laptop and padding all the way through the other side in the main compartment so nothing gets damaged. 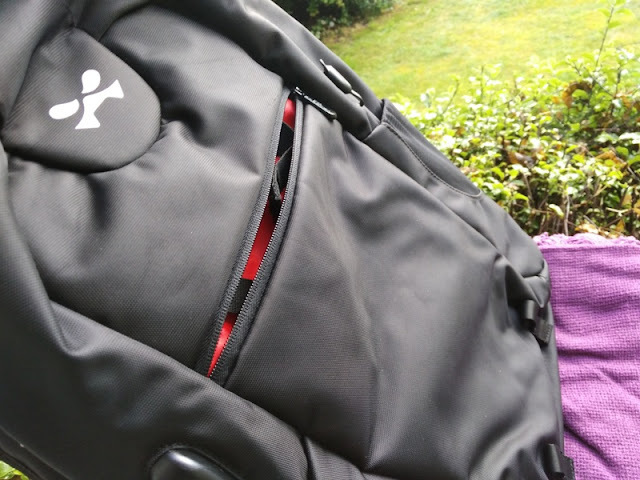 You also get plenty of cushioning on the back and shoulder straps, which is great when carrying heavy loads. 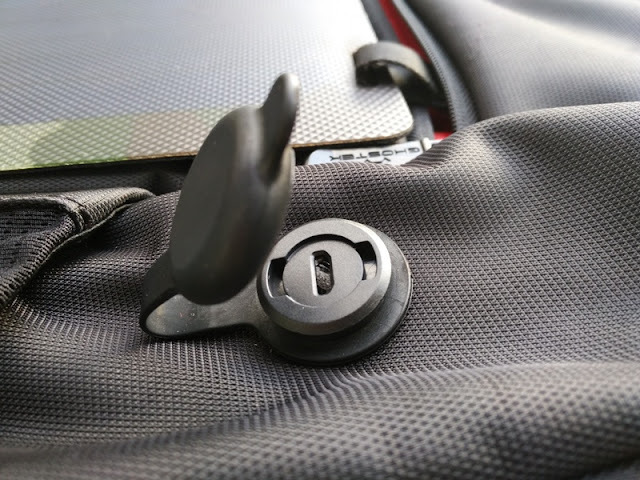 Another nice feature on the Ghostek NRG Solar backpack is that both the secret laptop compartment and main compartment zippers only open about three quarters of the way so your stuff won't just spill out by accident when opening the backpack. 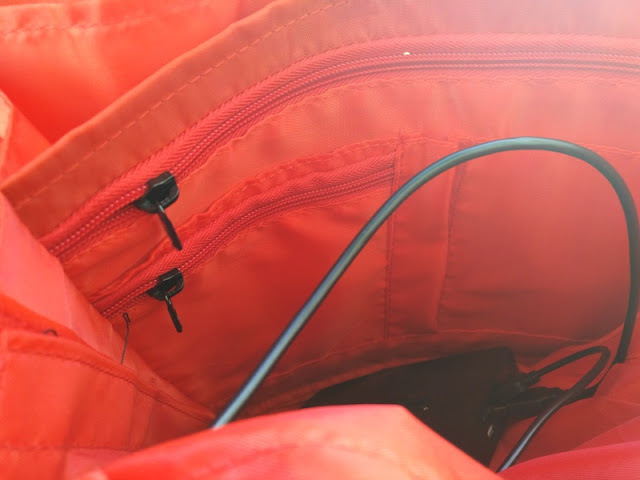 The charging cables are threaded via internal hole openings to allow zip compartments to fully close and also for charging cables to discreetly reach from inside of the backpack to the exterior of the backpack via a zip opening. 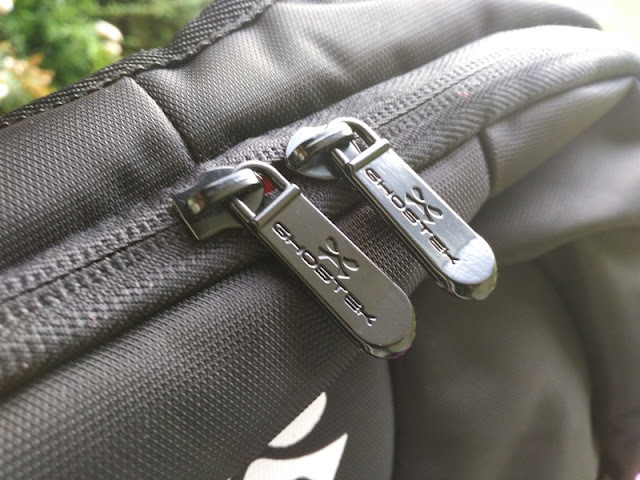 To prevent the built-in 16,000mAh rechargeable battery from sliding around, the battery is secured inside the zip pouch via brackets. 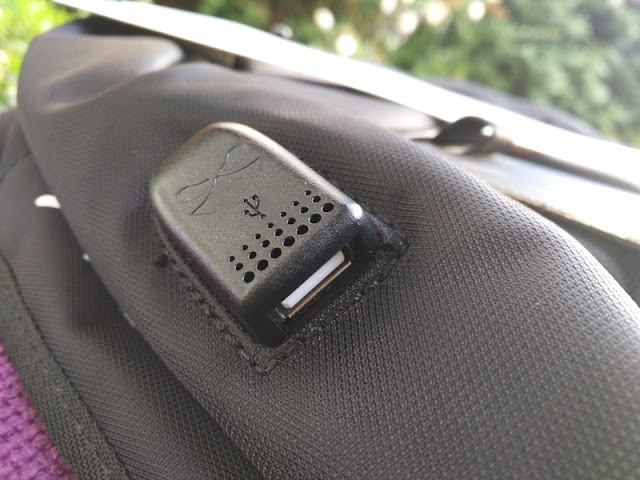 To check battery levels or to charge a device while on the go, you press the "power LED button" located on the right shoulder strap.